Since I started saving, I have had a program—first it was a fortran program, now it is a spreadsheet—calculating how much money I would have each year given projected savings and projected spending amounts. Hopefully this works out in the long term, because 2007-2009 has seen a pretty much stagnant net worth(*) whereas the program projected steady exponential progress. (*) With the V-bounce, I am 10% richer now than I was in 2007, despite saving furiously in 2007 and 2008. I use 3% inflation and 8% capital appreciation (about 5% real interest). I think 8% is reasonable as I run a portfolio that is based on partially hedged(*) individual stocks (about 15-20 of them) most of which pays dividends—it is slightly less volatile than an index fund by construction. (*) I use short ATM options to decrease the beta. It is something you can learn to do comfortably/confidently in about a year of self-study. If you don’t fear corporate bankruptcies or if you like to support the budget deficit or you simply feel traditional, you can do this with bonds too. Synthetically, a long put at the same strike would turn a covered call into a risk-free bond. According to my model projections, I will be able to buy out DW in 2013.5, at which point I will be good for $360k, which is $180k to back each at a $600/month lifestyle, if she wants to. The reason why this is possible is because I went a “little too far” in my savings goals preferring a “runaway” in my finances. This means that my passive income provides more money than I can practically use and so the rest is reinvested. Ideally, I would like to wait for $400k which would happen in 2014.6 or so, just to preserve the runaway(*). I like positive runaways. Of course, you could argue that with my part time job (if I still have it at that time), there’s a runaway anyway since I’m not drawing down the portfolio currently, or then. Also, I’m not counting her savings which would move both dates forward. Or a W-shaped “recovery” which would move both dates further out in time. (*) According to the same projections, I’ll be a USD millionaire in 2024 (age 49), that is, if DW does not retire. At that time, a million bucks will hopefully still buy a lot of beer. I think, maybe, I should start counting my net worth in beers. Obviously this depends on whether she wants to be a “kept woman” which I think she would not like to be; I certainly would not want to be dependent on my spouse for support(*). If not it would probably take a few more years, but at least the option would be there. Even more obviously, it depends on whether she wants to keep working on regulating the polluters. (*) It would hurt my fragile male provider ego 😛 . It’s bad enough that I’m no longer the supreme earner even though I’m holding my own. Yes, I know, it’s the 21st century, so I should just get over it. next post: Who is extreme? 12 users responded in " Buying out DW in 2013.5 "
I really like this sort of analysis. Thank you for sharing it. I try analyze my own finances on a regular basis to keep up with the movements of my personal expense and savings rates. I’m currently stable at a 50/50 split. Within the month it should adjust more toward savings of 60% and then to 70% in mid-2010. I have a single debt to settle before I can hit that 30/70 ratio though and it will drain a large portion of my current assets. At that point I’ll be debt-free with an established budget and saving habit. I’ll be just 27 years old by then, so I feel good about it. Nice to know the option is there.. leaves it a bit more open to be able to change fields, move to other parts of the county, etc.. Thanks for the article. I enjoy this type of analysis – I checked your ehow and didn’t see any articles on ATM options – could you recommend books/sites you read on this topic? Jacob, this is a bit off topic, but this post got me thinking… At some point, would you mind writing about your approach to taxes? It seems that the amount you earn from part time work and investments would keep you in such a low bracket that the difference between capital gains tax and income tax wouldn’t be an issue. Of course there are some factors to consider– filing status, spouse’s earnings, deductions, etc… Do you put any of your part time work earnings into a tax sheltered vehicle (if that’s even possible for you)? When you say 8% capital appreciation, is that net of taxes? I wrote that question before learning that in the lower tax brackets, capital gains tax isn’t 15%. So, I guess there is a difference. @Mo- what is it in the lower tax brackets? Interesting–so, Jacob, you and DW don’t mix your savings if I understand correctly? I’m not sure that DW could be considered a ‘kept woman’ if she contributes to your ability to reduce your living expenses. For example, your life is quite frugal–living in the RV and all–but doesn’t DW contribute to 1/2 of your expenses, allowing you to live for even less–say by sharing ‘parking’ fees or utilities? Also, just out of curiosity, aren’t DW’s own savings significant? Again, I look at the lifestyle–and even taking into account cable TV and the occasional pack of cookies 😉 –DW strikes me as pretty frugal too! DW– on feeling like a ‘kept woman.’ DH and I have just moved to France and I still don’t have a job (2 months since my last paycheck). I helped stock up a significant portion of our savings before the move because I happened to come into a pretty nice salary a while back. I tell myself that I’m not ‘kept’ due to my extensive previous contribution. . .but it feels weird, very disconcerting! Also, luckily, since I’m the one at home with time, I have the role of budget Nazi–but yeah, I did worry that DH would try to exert budgetary influence on me as well–as you mentioned Jacob might with the cable tv! Not that I spend a lot, but still–I don’t even like the idea of being told what to do! @Alex – 5% and 0% I think. We’re still in the 15% for capital gains due to DW’s income. 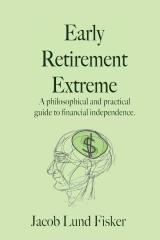 @Mo – I don’t put any of my part time work into retirement accounts, but I max out a spousal IRA due to DW’s W2. It would be difficult to calculate taxes on capital gains. First and foremost it depends on the amount of churn which will vary during the years. @Dave – ATM simply means at-the-money, that is, the stock price is close to or at the money of the strike price of the option. That 0% tax rate on dividends and capital gains is a great benefit for someone like Jacob. Filing as married, joint return they (or anyone) could have taxable income (that’s after deductions) of $67,900 for 2009 and pay no income* tax. That easily covers your $360k x 5%. *I’m assuming the P/T job is on a 1099 basis, so SE tax still applies. I support measuring net worth in beers, so long as it’s good beer and not budweiser/miller etc.